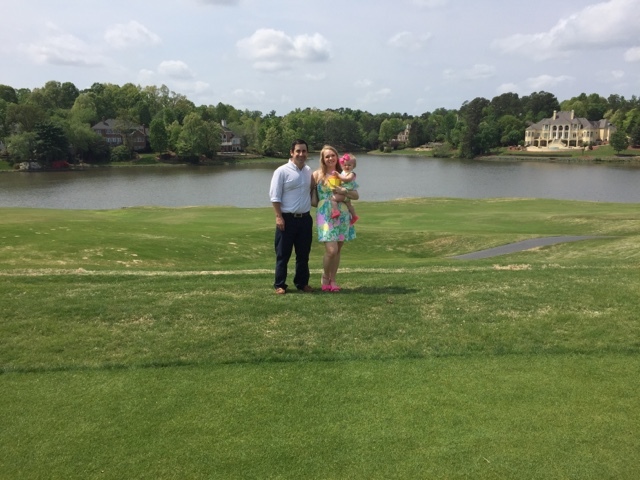 During my little blog hiatus, we celebrated Easter with our family. 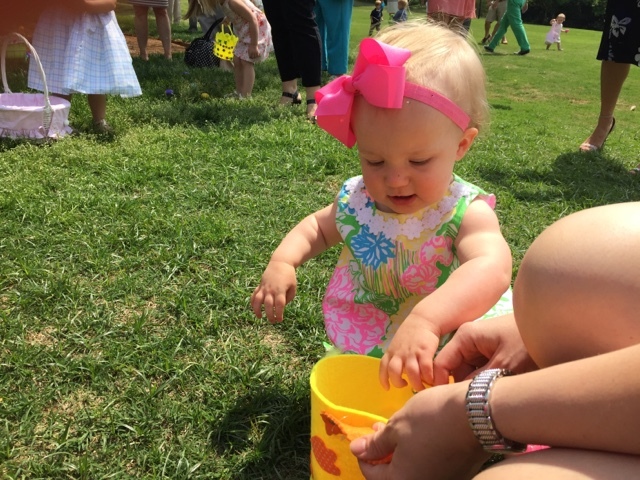 This was Madeline's second Easter but her first was honestly a blur. It was during her fussy, colicky no-sleep phase so I hardly remember it. This year, though, was so much fun. Madeline is at such a fun age. We started the morning off at home. 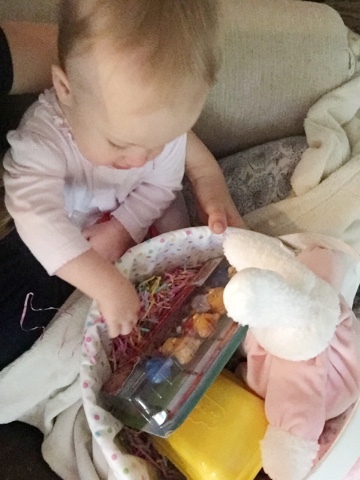 The Easter Bunny came to visit Madeline and brought her these hide and squeak eggs, some Daniel Tiger toys, a stuffed bunny, and some cute bunny ears from the Target Dollar Spot. Madeline was mostly obsessed with the fake grass in her basket. 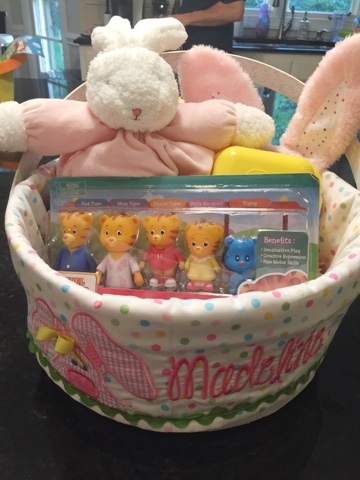 I ordered this cute Easter basket from the hospital when I was in labor and plan to set it out with her on Easter Eve each year. 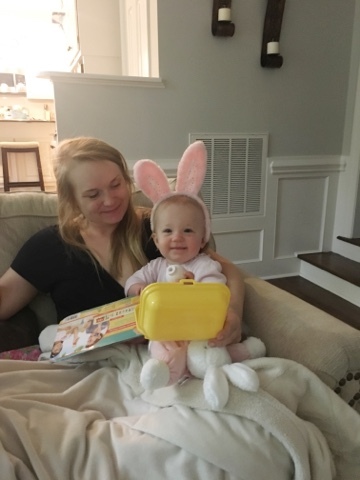 No make-up and messy hair but I couldn't resist sharing this picture of our little bunny. We watched an Easter service on TV this year while our little one played and took her morning nap. Then we all got dressed for brunch at our club. 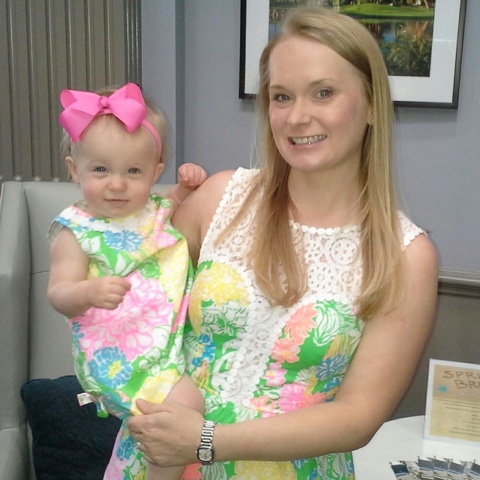 Madeline and I wore the Lilly hibiscus stroll dresses we got in the after party sale last year. 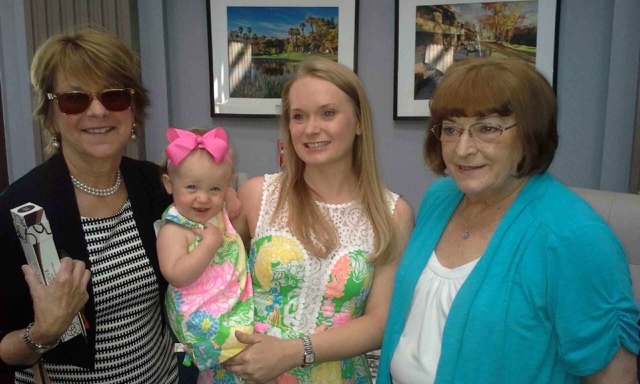 My parents and mother in law joined us at the club for brunch and Madeline was tickled to have all her grandparents in one place. 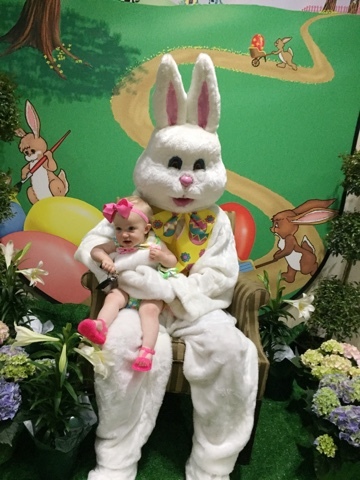 She met the Easter Bunny and thanked him for her basket. I think he was better received than Santa back during Christmas. 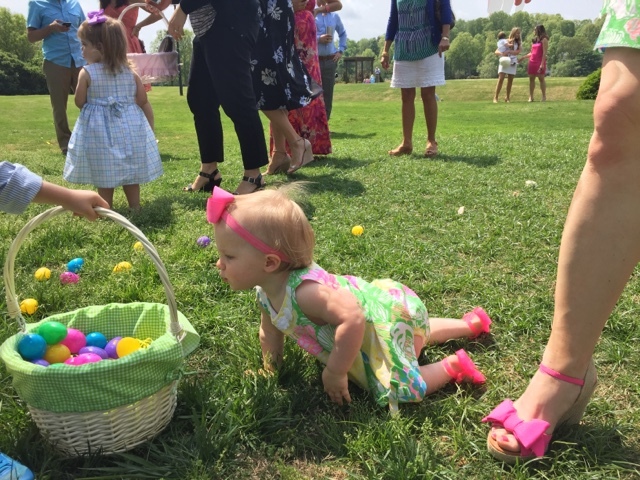 After brunch, Madeline participated in the egg hunt. 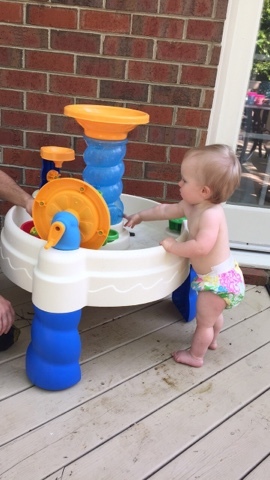 She actually kind of got the hang of it and enjoyed putting the eggs in her tiny little basket. This is one of my favorite pictures because this is definitely not her basket! Haha! This was the best attempt at a family picture. We enjoyed celebrating such a special day with our girl. 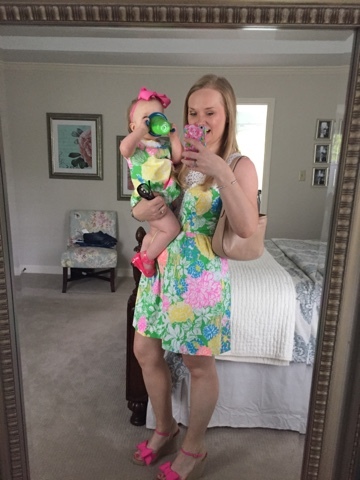 Your matching dresses are so cute!